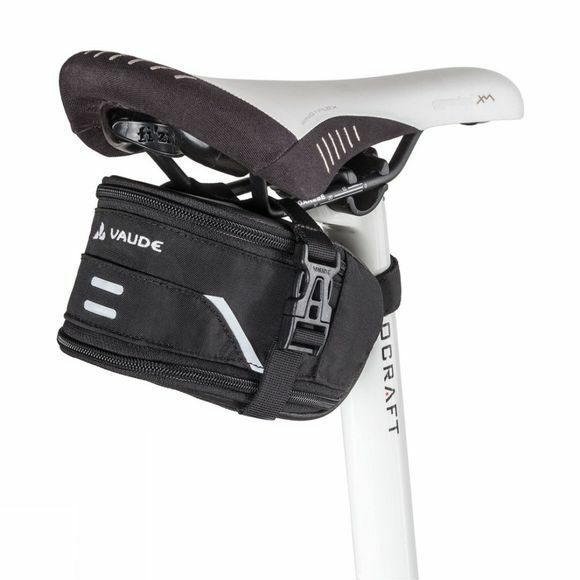 The Tool Stick M saddlebag is constructed from bluesign® certified material and is perfect for storing essential tools, energy gels and cash. The bag can be easily attached to your bike via a buckle system and can be expanded in volume if required. Material: Main fabric: 100% Polyamide; 800 D Mega Tarpaulin; Lining: 100% Polyamide; 200 D Acrylic coated.